Get Lost Pest Control, Inc. Comment: I have a small 2 bedroom 1 bath house no garage just over 800 sq feet, and a major ant problem. They are very small (tiny) black ants, but I have been trying to maintain them with store bought products for 5 years, and even when they go away for a while they come back each year ten-fold. I believe there are colonies of them in the hard packed dirt of my property and living under my house/ inside the walls. I'd also like treated for spiders if possible, but the ants are a the more urgent and larger problem. Thank you! Middleton Pest Control Services are rated 4.66 out of 5 based on 412 reviews of 12 pros. 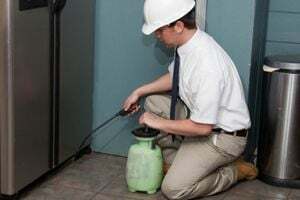 Not Looking for Pest Control Contractors in Middleton, ID?